February’s tastiest holiday is almost here! Fred Usinger Day. Mayor Tom Barrett proclaimed February 23rd as Fred Usinger Day in a special proclamation back in 2005. This special proclamation recognized Usinger¹s as a locally family owned and operated business for four generations spanning over 125 years. The City of Milwaukee salutes Fred Usinger, Inc. for it¹s long standing good corporate citizenship and commitment to the betterment of Metropolitan Milwaukee and Southeast Wisconsin area². 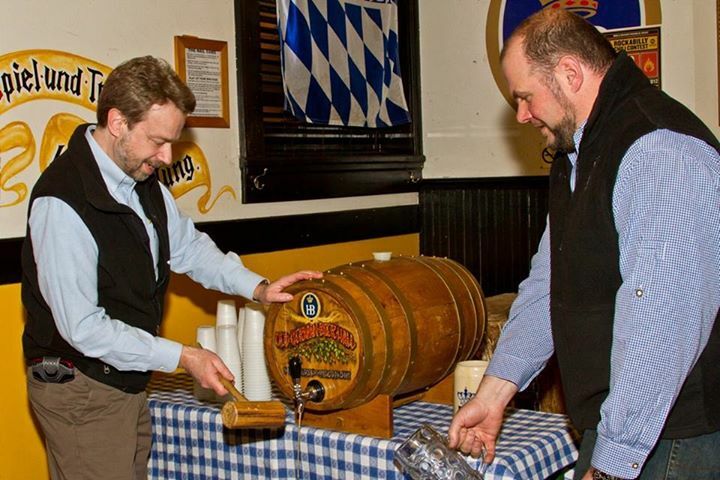 To commemorate this event, our friends at the Old German Beer Hall will be offering a free Usinger brat to patrons beginning at 11am until 8pm. I will also be on hand at OGBH to tap a keg at 6pm and there will be free beer until the keg runs out. Take a break from the cold and enjoy a hot juicy Usinger brat, maybe a pretzel and your favorite libation as we celebrate Milwaukee’s sausage heritage. It¹s my favorite thing about February, hope you can join us for the party!